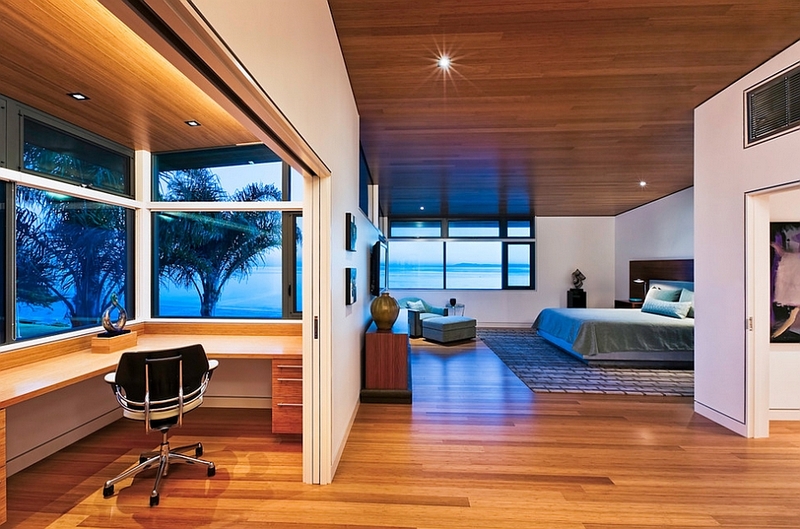 Adding a workspace to your bedroom can be a tricky affair, and some homeowners prefer to keep any electronic distractions away from the bedroom. 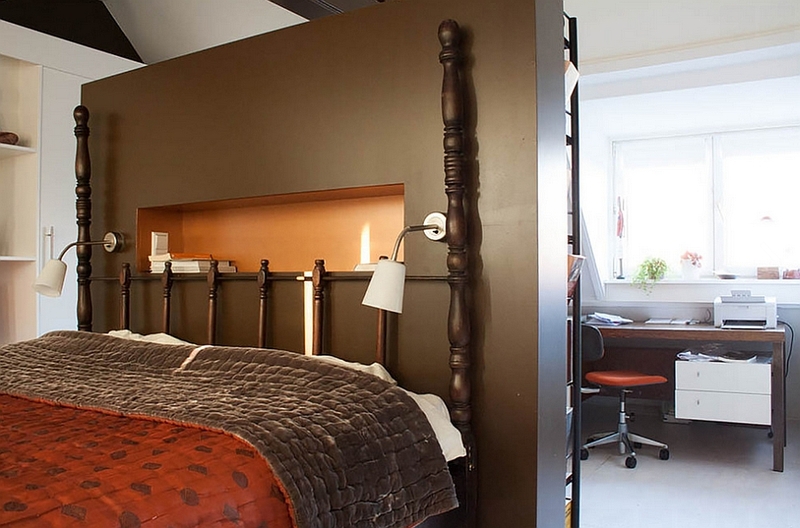 Others, though, will tell you that the bedroom is probably the best place in the house to create a home office that is private and free from any distractions. 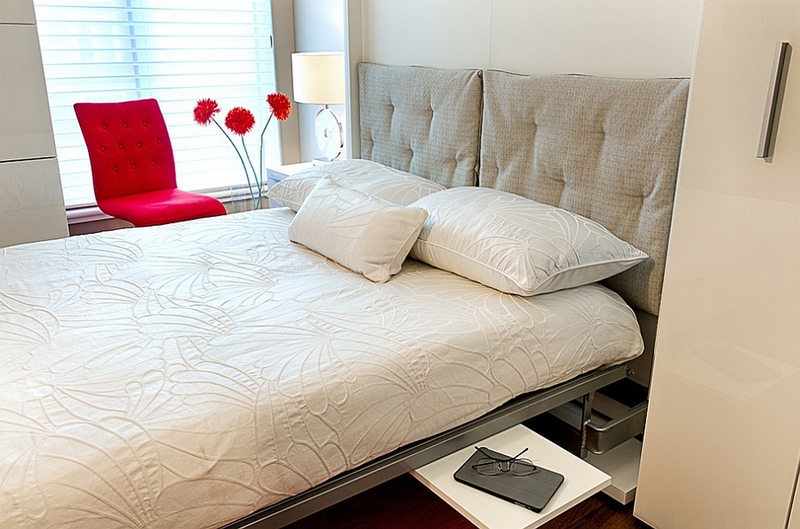 Unlike the living area or the dining room, you have fewer diversions in your own bedroom, and this obviously helps in increasing productivity and cutting down on work time. 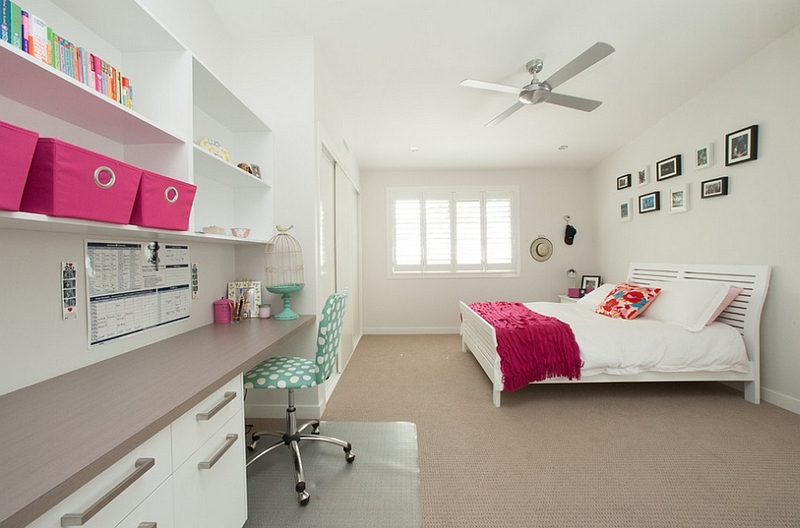 And turning that lonely corner in the bedroom into a compact workspace is a lot easier than you think. 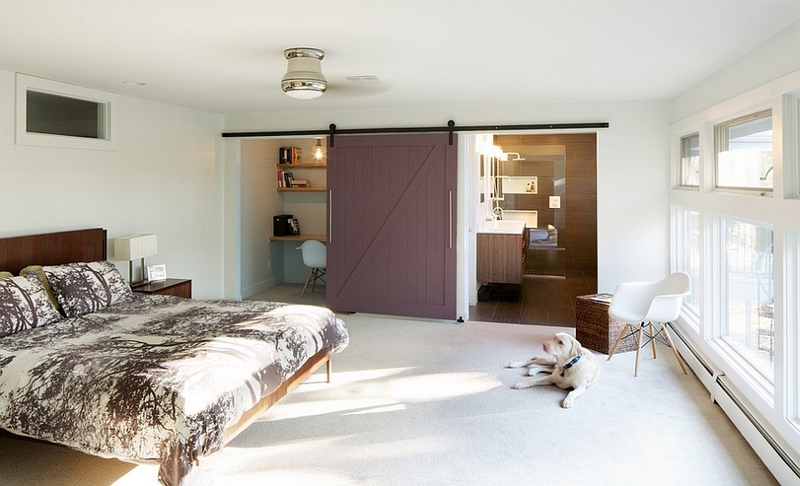 As we alluded to above, one of the biggest reasons why many homeowners turn toward the bedroom workspace is the lack of room in any other part of the house. 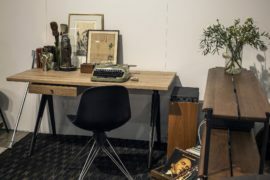 Often, this leaves you with a small corner to work with, and the best way to get around this problem is by replacing the trendy nightstand with a beautiful work desk. 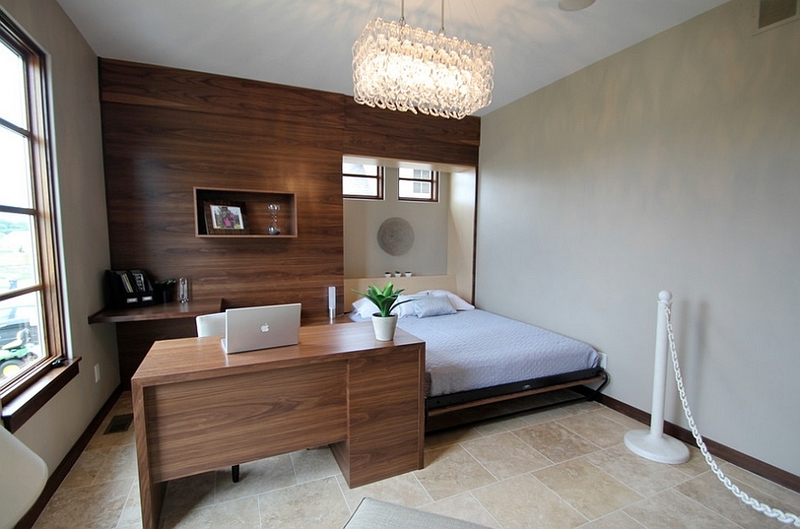 This is pretty easy to do, gives the bedroom a unique look and does not alter the existing design plan of the room. You can place the table lamp at one of the ends that is next to the bed and use the rest of the space for your laptop or as a DIY zone! 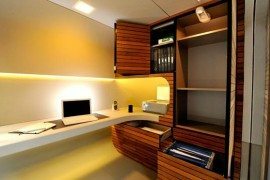 Another way to overcome this problem is by creating a simple custom desk that is fixed to the wall and will serve you as a wonderful display even after you decide to move your home office elsewhere. 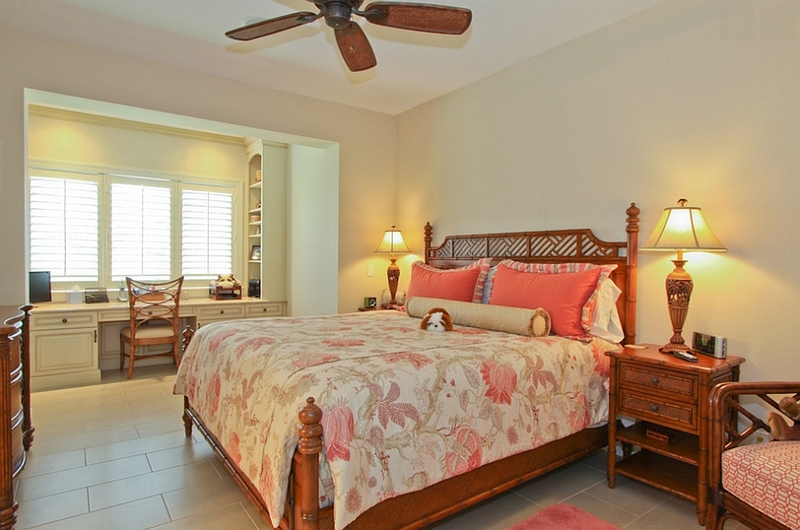 This approach frees up the foot space and gives the bedroom a visually light and airy appeal. 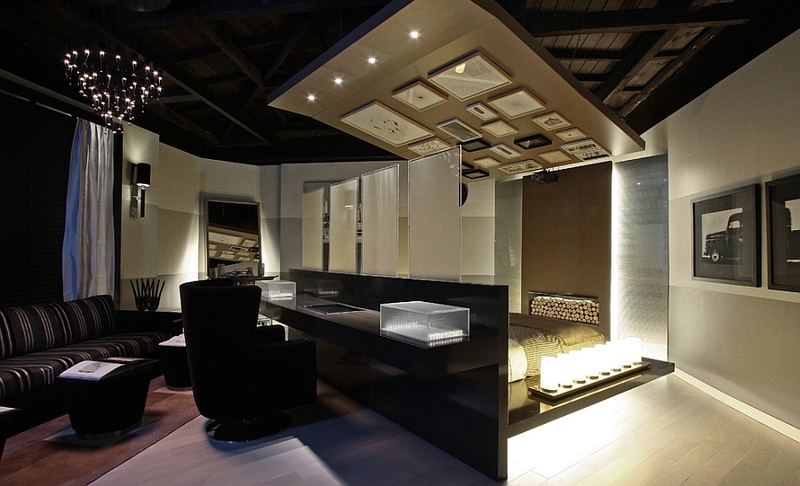 All you now need is an office chair and some cool floating shelves above the desk to complete the elegant workstation. 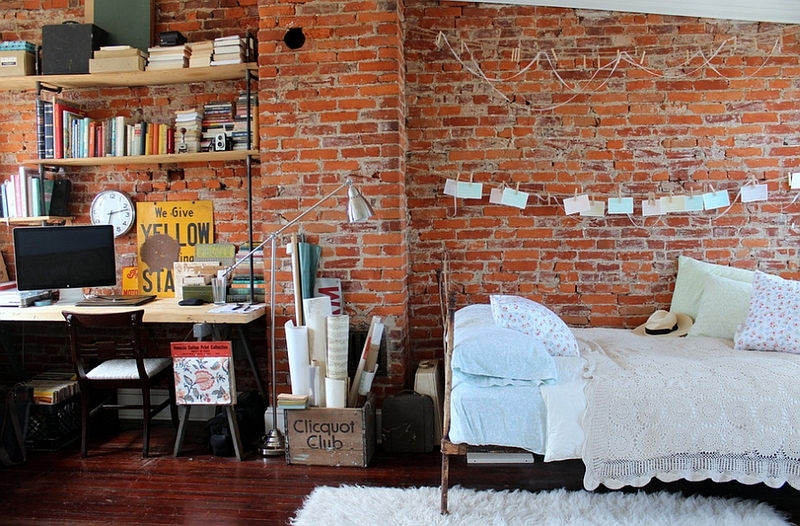 Still worried about combining the workspace with the bedroom? Concerned that it is too much of a distraction and that you will be up at 3 in the morning checking mail? 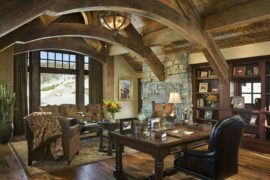 A simple solution to this is to create a home office that is a part of the bedroom and yet is separated from it using sliding glass doors or a bedroom accent wall. 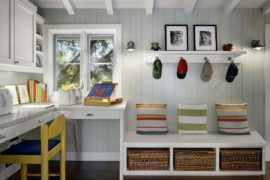 This gives you two clearly demarcated spaces with boundaries of their own, and it is also a perfect way of turning that dreary little nook in the bedroom into a cheerful home office. 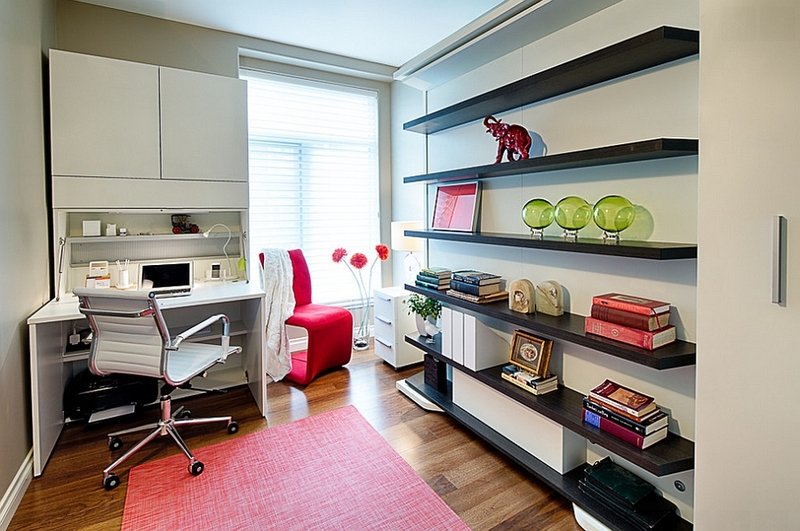 You can even revamp a large closet to shape one of your simple workstations! 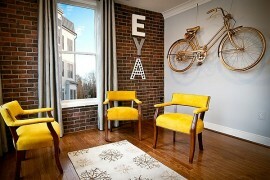 Small bedroom owners can also embrace this approach but in a different fashion. 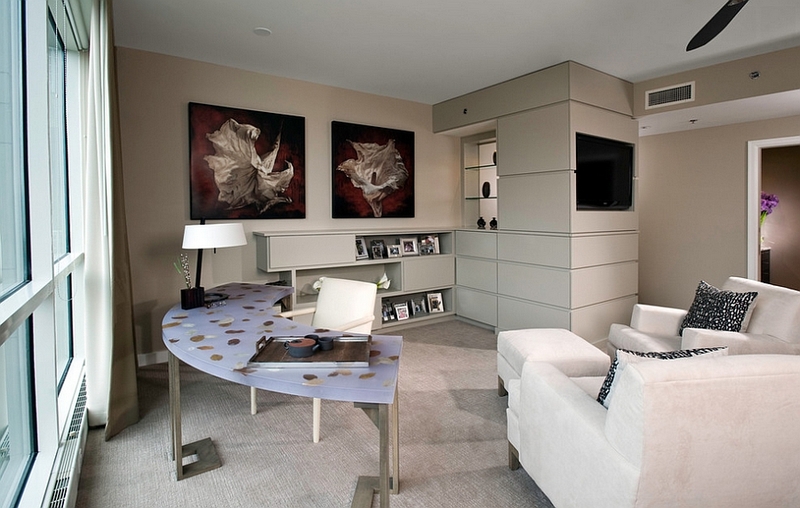 Murphy bed units transform the same little room into both a comfy bedroom and a functional workspace, depending on the time of the day. By tucking away the home office setup at night and pulling out the bed, you will definitely be less tempted to get back to work until the next day! 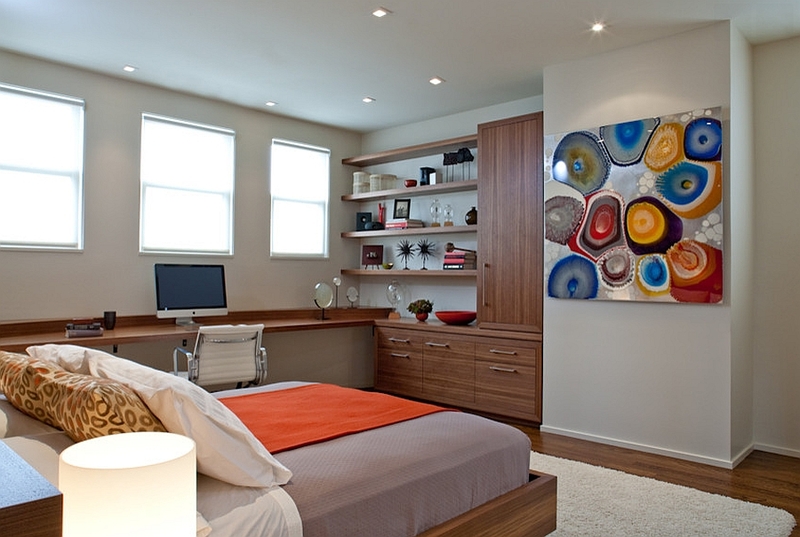 You are probably worried about the style and the theme of the bedroom while adding a new workspace to it. But as the wonderful collection of bedrooms below showcases, you need not compromise on aesthetics for the sake of functionality. 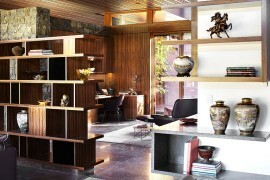 From the eclectic and tropical to the contemporary and minimal, almost every style works beautifully with this combination. 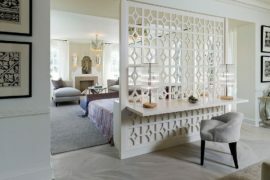 By choosing a classic, iconic desk for your bedroom workspace like the Parsons Desk or the Nelson Swag Leg Desk, you end up elevating the style quotient of the room. 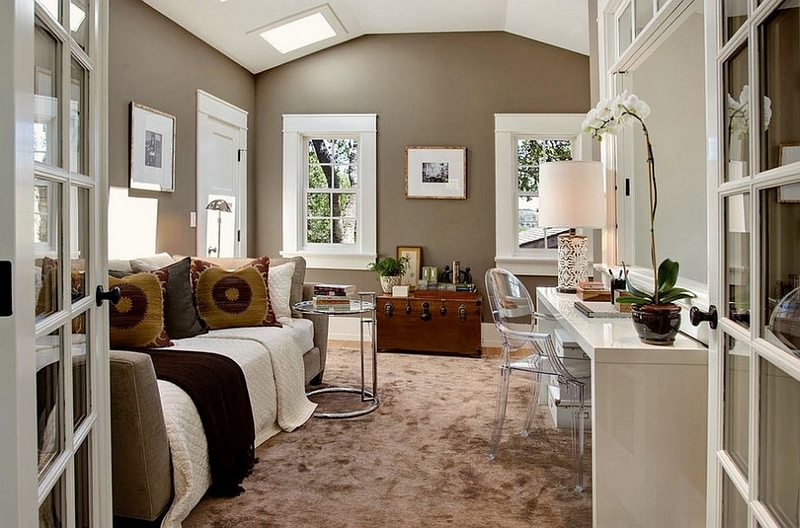 Maybe a gorgeous workspace next to the bay window is just what you need to complete your dream bedroom!